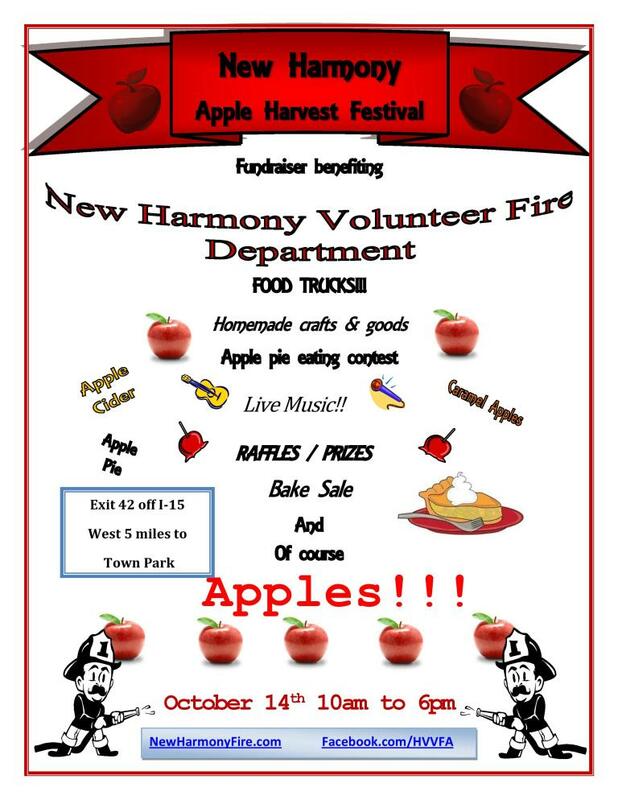 The New Harmony Apple Harvest Festival will be Saturday, October 14, 2017 from 10:00 am to 6:00 pm at the town park. 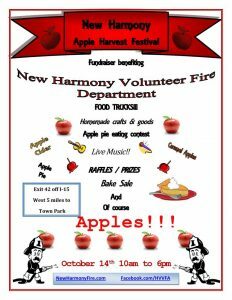 This is a fundraiser benefiting the New Harmony Volunteer Fire Department. There will be food trucks, homemade crafts and goods, live music, a bake sale, raffles/prizes and of course apples!